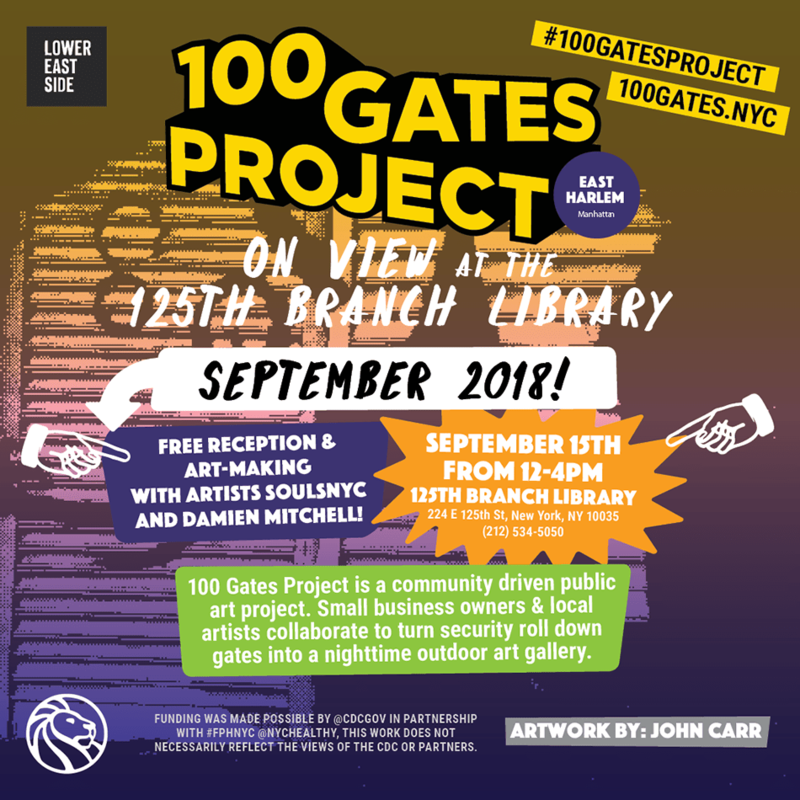 #100GatesProject teamed up with the New York Public Library to present #StreetArtForKids this Saturday, September 15th from Noon to 4pm at the East 125th Street Branch. In addition, the library is featuring a new exhibition of 100 images from the recent #100GatesProject in East Harlem. This is a free event at the New York Public Library located at 224 East 125th Street, between Third and Second Avenues.